What was originally going to be a 1 month break during the A to Z challenge in April turned into a 3 month sabbatical from Wordless Wednesday. I am now back, hopefully to consistently have the linky go live at 8am EST each Wednesday. The Boy has been teaching Sassy to play chess. 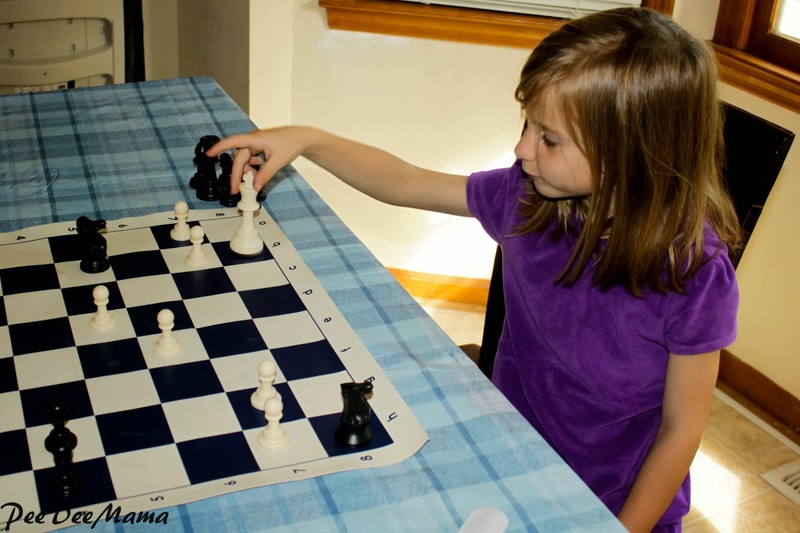 Although she hasn't won a game, she understands the game and is having fun. Do you have a Wordless Wednesday post to share? Link up below.